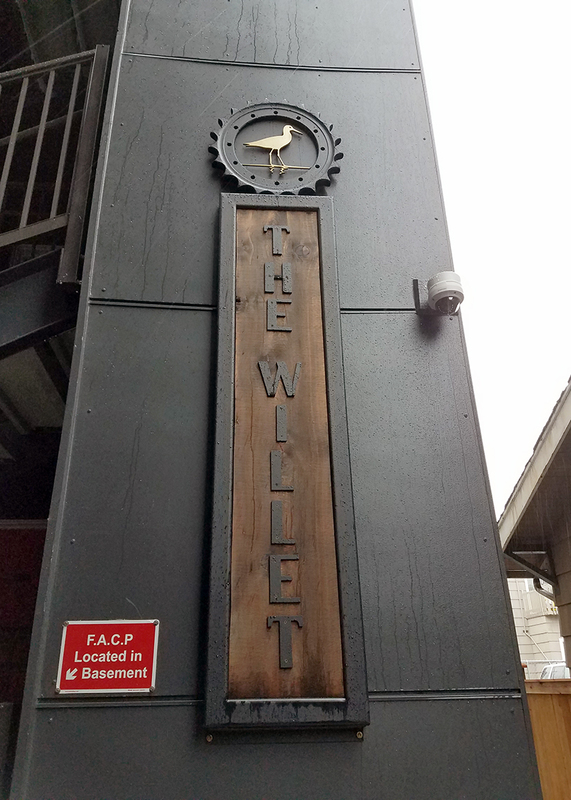 The Willet, built by STS Construction Services, is a studio-style, 20-unit building on the western edge of the University District where Portage Bay, Wallingford, and the U-District intersect—and where academia at UW meets recreation along Lake Union and Lake Washington. The project is located near many public transportation routes, sits three blocks north of the Burke-Gilman trail and, with a Walk Score of 92, daily errands do not require a car. 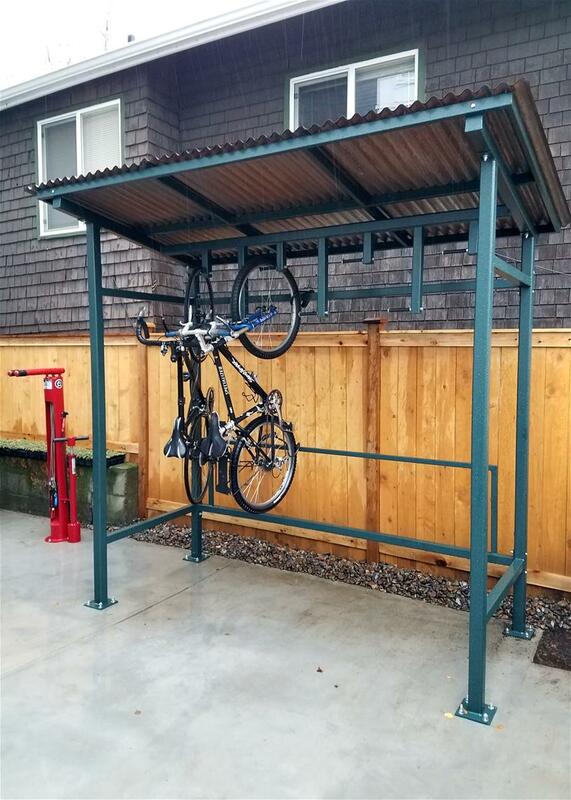 The building offers bike storage and a repair station to further incentivize tenants to ride their bikes, thus reducing dependency on cars and the project’s overall carbon footprint. A large factor contributing to the project’s overall sustainability is its efficient use of space. Despite their small size (323 square feet on average), each studio includes a built-in Murphy bed, shelving, and desk. These fundamentals allow the tenant to create extra living space when they’re awake while still maintaining density in a fast-growing neighborhood. To meet Built Green 4-Star standards and reduce the building’s overall energy consumption, the project focused on energy efficiency via domestic hot water, appliances, and lighting. 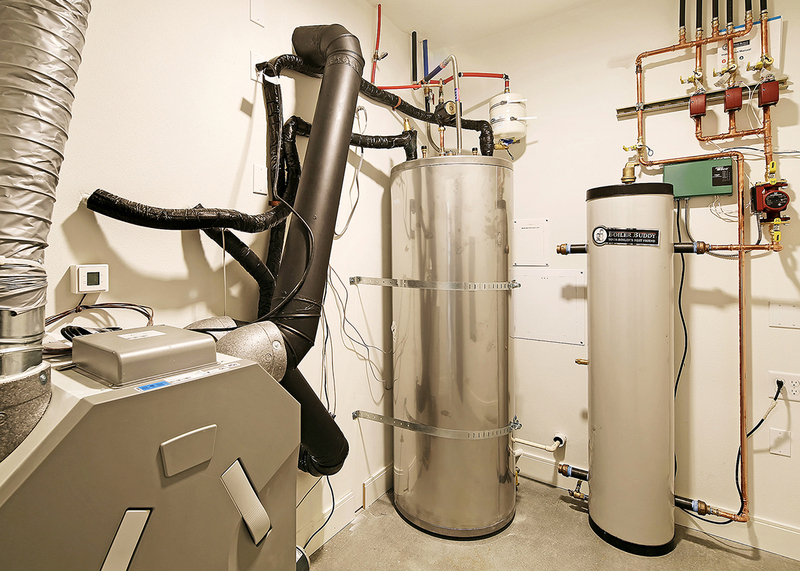 Two high-efficiency gas tankless water heaters with recirculation pumps service the building, and water is sparingly used via low-flow plumbing fixtures. Each unit’s kitchenette comes with ENERGY STAR appliances as well as in-unit laundry and quiet, energy efficient ventilation fans. LED lighting is used throughout the entire building to further reduce the amount of energy needed for each unit and optimize building security. 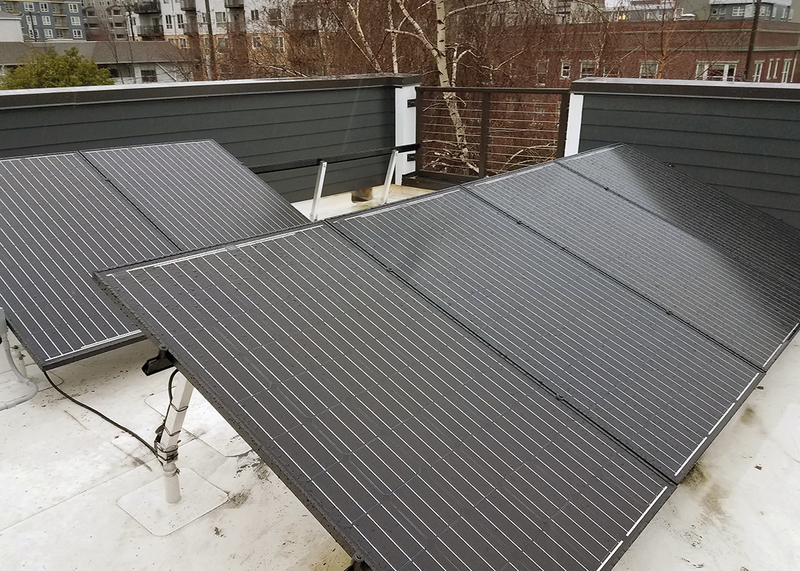 In addition, an array of solar panels was installed to help offset some of the energy consumed from plug loads, unit heating, appliances, and more. No turf grass and drought-tolerant landscaping. Partial green roof with amenity space. Energy consumption reduced by more than 28 percent compared to code. ENERGY STAR appliances and LED lighting. 1.7 kW of solar panels. Low VOC paints and adhesives. Dimple drainage mat around foundation. Vinyl plank flooring with recycled content certified for indoor air quality. Local materials used in each unit. In the highly competitive Seattle-area building market, builders need to take advantage of every available opportunity. 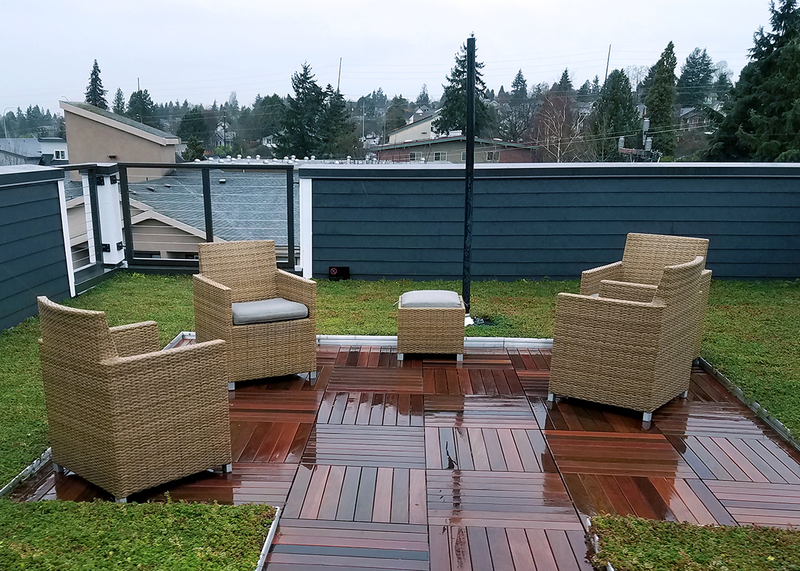 The Built Green program offers significant advantages for builders who understand it well, including expedited permitting and additional floor area in the City of Seattle and other nearby jurisdictions. One way to meet Built Green standards that provide client satisfaction as well as builder advantages is the use of cutting-edge mechanical systems. Heat recovery ventilators (HRV) supply continuous fresh air to the living spaces of a home and control humidity. Heat pumps provide highly efficient space heating and cooling without introducing combustion products into the home. Heat pump water heaters can offer excellent efficiency and greater hot water availability than other systems. However, realizing these benefits requires that these systems are designed and implemented correctly. The post will dive into the benefits of these systems, how they can help a project achieve Built Green certification, and how to plan and install them correctly. 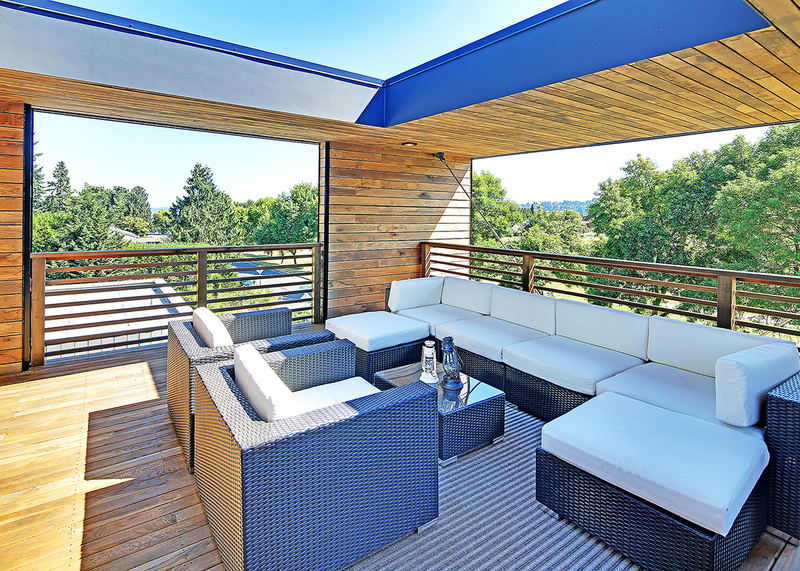 Cascade Built's View Haus 5 townhome complex features mini splits and HRVs. It was Built Green 5-Star certified in 2015. Heat pump systems are rapidly growing in popularity due to their efficiency and their ability to deliver both heating and cooling in one package. As summer temperatures rise in the Northwest, the demand from clients for cooling has risen as well. Heat pumps are much more efficient than current furnace and resistance systems due to the fact that they harvest energy from the ambient air outside the building. Heat pumps come in a variety of configurations and sizes and the systems can be scaled to serve loads ranging from small apartments to large commercial and multifamily applications. 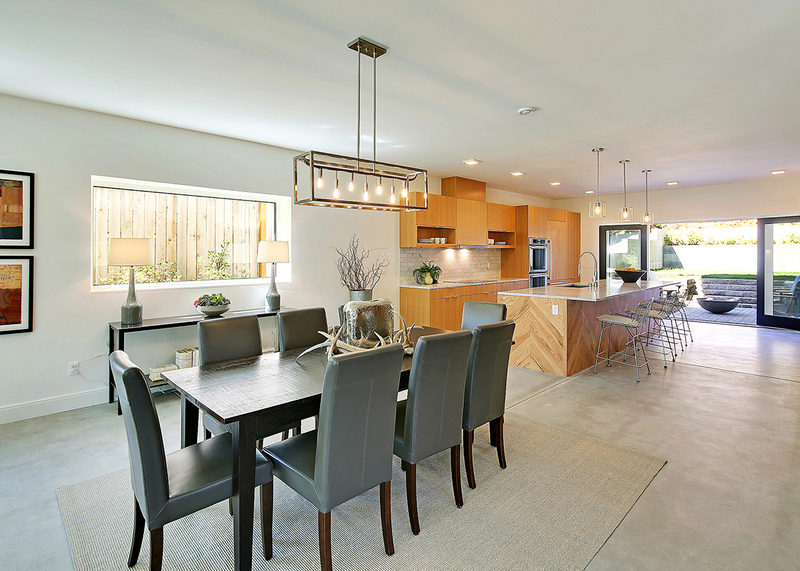 Correct design is key for these systems and Built Green encourages the use of Manual D and Manual J calculations in the design process, which will dramatically improve the efficiency, comfort, and durability of the home. Built Green also awards significant points for using ductless heat pumps, and additional points for using high quality ones that include features such as the ENERGY STAR label, ECM motors, and zonal controls—features which are commonly available on reputable equipment. Heat recovery ventilators complement any high-quality build, providing better energy efficiency and radically improved indoor air quality. An HRV runs continuously, bringing in fresh air from outside and exhausting stale air from inside. It uses a heat exchanger to conserve the energy that has been put into conditioning the air inside the home and filters all the air that passes through it, so allergens, dust, and other common pollutants are significantly reduced. HRVs provide benefits for all homes and Built Green offers five points for the installation of an HRV on its single-family/townhome checklist, but an HRV also becomes necessary for the proper functioning of a building built to comply with some of the more stringent Built Green envelope requirements. Indeed, installing an HRV is actually a requirement for Built Green’s highest certification level, Emerald Star. Inside View Haus 5, a Mitsubishi mini split system blends in with the interior. While space heating generally represents the largest share of energy consumption, domestic hot water heating is another large component of that load. There are now a variety of heat pump hot water heaters available on the market. Most locate the heat pump itself as part of the tank assembly and function best when the intake and exhaust air for the heat pump is ducted to the building exterior. 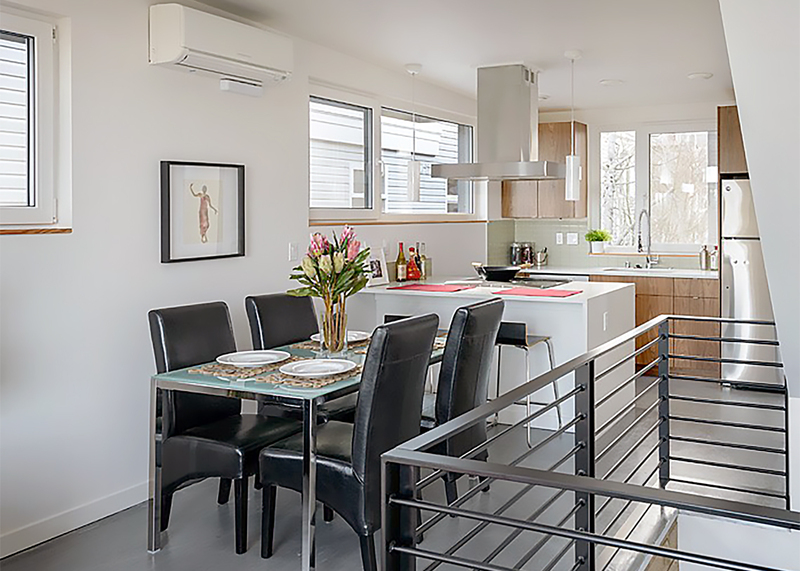 Built Green awards six points for the use of a heat pump hot water heater in a single-family or townhome context and significantly greater rewards for doing so in a multifamily project. There are many ways to achieve Built Green® certification, but few have as significant an impact on occupant comfort and energy efficiency as using high-quality mechanical systems. Integrating these systems into the building design at an early stage will reduce complexity and help your project obtain Built Green certification. Aaron Barnett manages Cascade Comfort Systems, Cascade Built’s mechanical systems division. He’s an expert in high-performance mechanical installations and known for bringing a keen understanding of building complexities and construction. 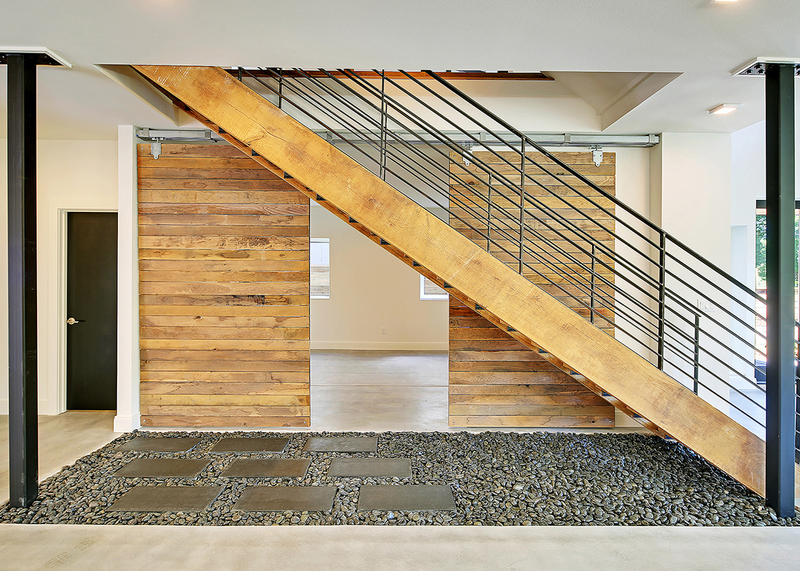 He can be reached at aaron@cascadebuilt.com or 206.409.4948. The Built Green® Net Zero Energy Label indicates that a project has demonstrated via an energy model that it will produce as much renewable energy onsite as it will consume over the course of a year. Most commonly, though not necessarily, this renewable energy is generated by solar panels. 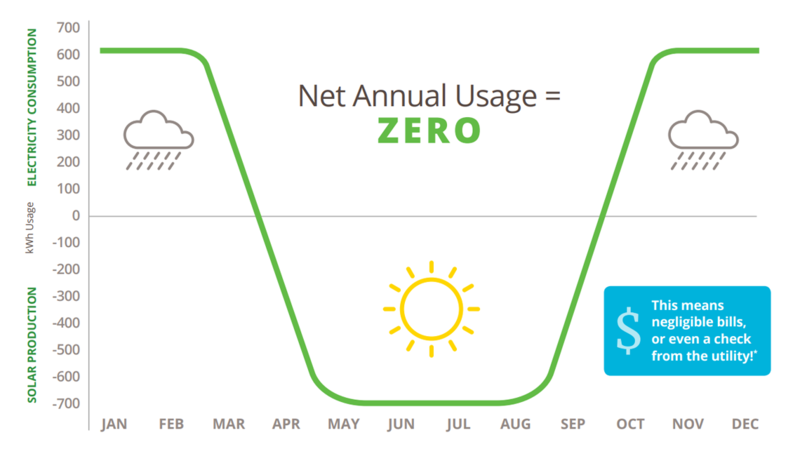 This definition for net zero energy specifies a year-long timeframe because solar panels produce more energy during the sunny summer months; excess energy not used immediately at the home is sold back to the utility and banked as a credit. In the winter, when a building is using more energy and the solar panels are producing less, this banked credit is applied to the bill. Other forms of renewable energy fluctuate in their production based on weather and season as well. What matters to Built Green is that, in a year, the building has produced as much or more renewable energy than it has consumed. 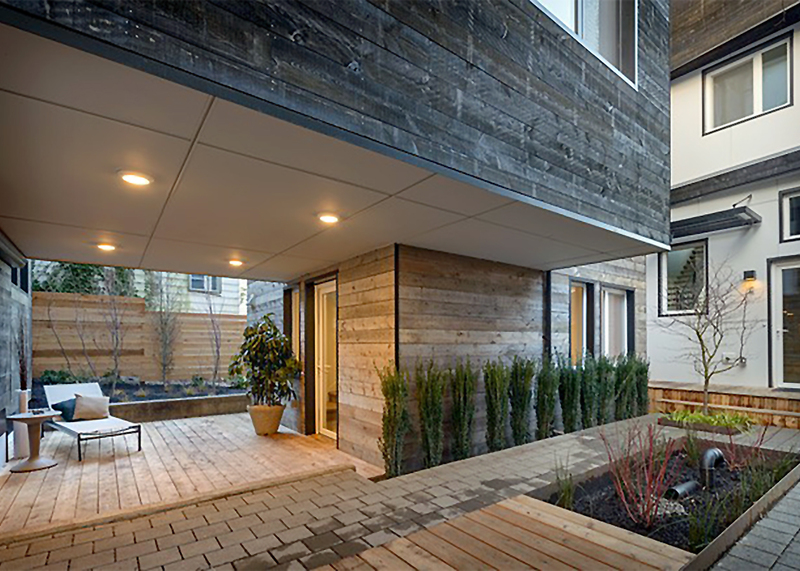 Net zero energy homes have a significant role to play in addressing the climate crisis. According to the Drawdown solutions to reverse global warming, net zero energy buildings are one of the 100 important strategies. 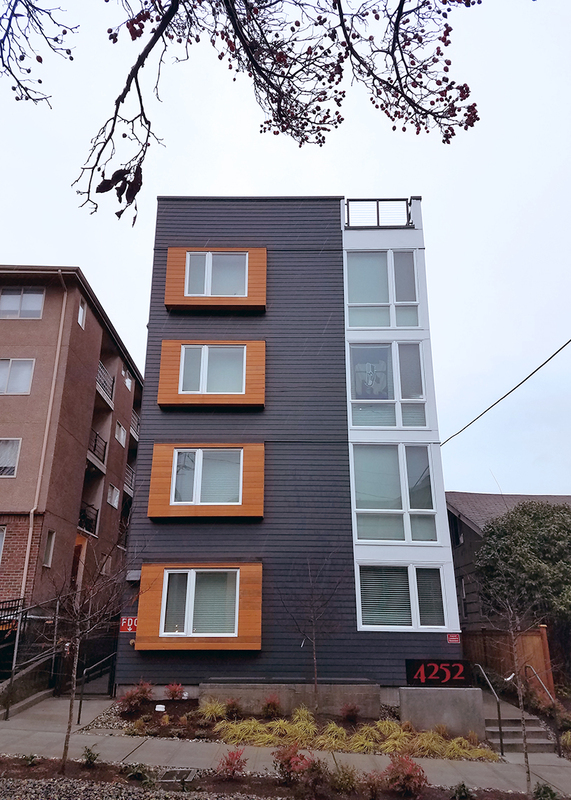 Even in Seattle, where homes receive carbon neutral electricity from Seattle City Light, net zero energy building has the potential to reduce greenhouse gas emissions by freeing up electric supply for transportation, which accounts for 64 percent of the city’s emissions. According to Built Green’s post-occupancy study, 4-Star homes save enough electricity to power an electric vehicle for a year. Obviously, the potential from net zero energy homes is even greater! Buildings have the ability to help clean the transportation sector through renewable electricity production. 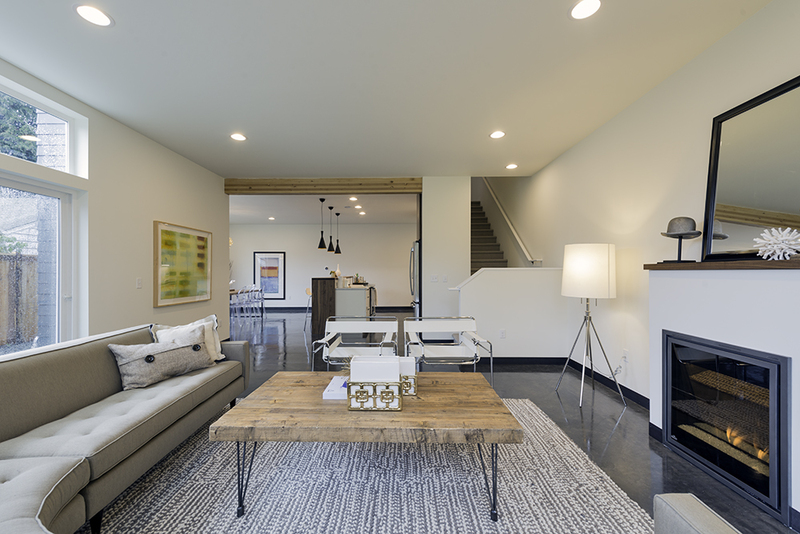 On top of the environmental benefits, net zero energy homes also signify comfort and quality. Because these types of projects are not yet the norm (though we hope that soon they will be! 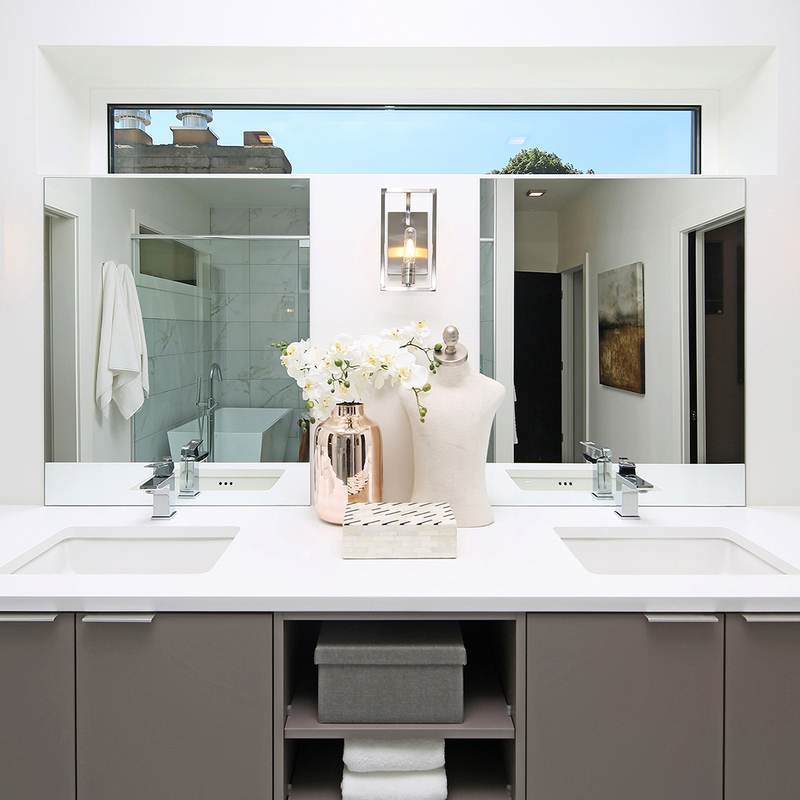 ), the designers and builders are putting extra thought into them and are often using some of the best examples of homebuilding technology and methods there are. The final product will be more comfortable thanks to the home’s efficient envelope and controlled ventilation. 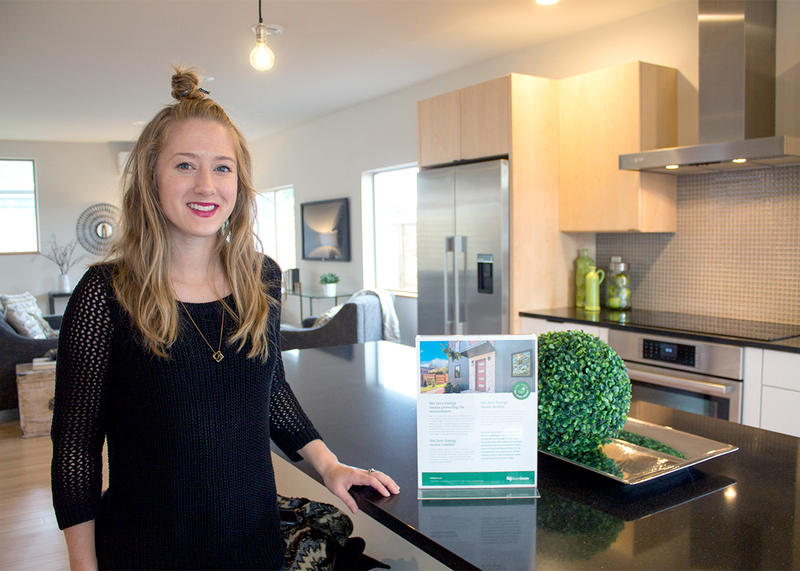 Residents of Built Green certified net zero energy homes have expressed their delight at how comfortable their homes are. And remember how credit for excess energy is banked by the utility? Well, that means residents’ electricity bills might even be negative—in other words, the utility will pay them! Hopefully you’re convinced that net zero energy homes are a great thing, but why is the label itself important? We want to better support net zero energy building and spread the word about its benefits. At the present moment, it is a minority of builders doing these projects and we feel their accomplishments should be broadcasted. Not only will spreading the word acknowledge their hard work, but we believe it will help accelerate a market transition that is already happening and we would like to speed along. 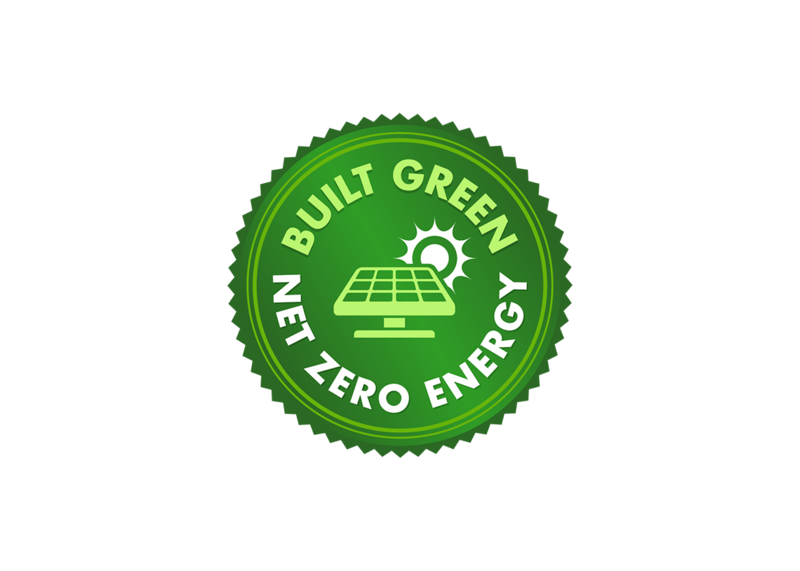 Obtaining the Built Green Net Zero Energy Label is actually simple. First, the project must meet all requirements for Built Green certification at any star-level. Beyond that, there are just two requirements. First, the project must be modeled to show that the expected consumption is equal to or less than the expected renewable energy production onsite. Second, Built Green must receive a waiver so energy data from the utility will be shared with the program. This way, we can monitor home performance and ensure that our protocols lead to the expected outcomes. Happily, the two Emerald Star projects for which we have done post-occupancy analysis thus far (Emerald Star certification, Built Green’s highest level, requires net zero energy) have met their net zero energy goals. We want to make sure this success continues! We’re really excited to see and certify more net zero energy projects in the coming months and years! Want to spread the word? Share our Net Zero Energy Label info sheet!